SCROOGE, THE classic British film adaptation of Charles Dicken’s A Christmas Carol, will be screened by the Galway Film Society in the Town Hall Theatre this weekend. 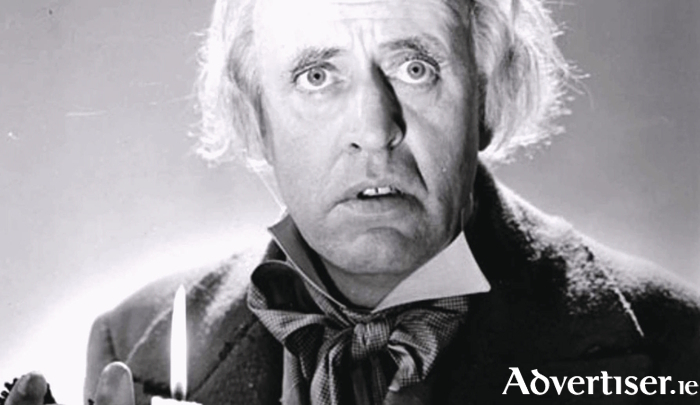 Made in 1951, and starring Alastair Sim as Scrooge, the man who considered Christmas as just "humbug", for many this is the definitive visual adaptation of Dickens' iconic story. The film will be screened on Sunday December 11 at 3pm in a party atmosphere with carol singing, spot prizes, and light refreshments, 30 minutes prior to screening. For tickets contact the Town Hall (091 - 569777, www.tht.ie ). Fiction Film British films Cinema of the United Kingdom Scrooge A Christmas Carol Christmas Human Interest English-language films Entertainment_Culture Town Hall Town Hall Theatre 091 - 569777 Galway Film Society Charles Dicken Alastair Sim Scrooge A Christmas Carol The Life and Times of Scrooge McDuck www.tht.ie).